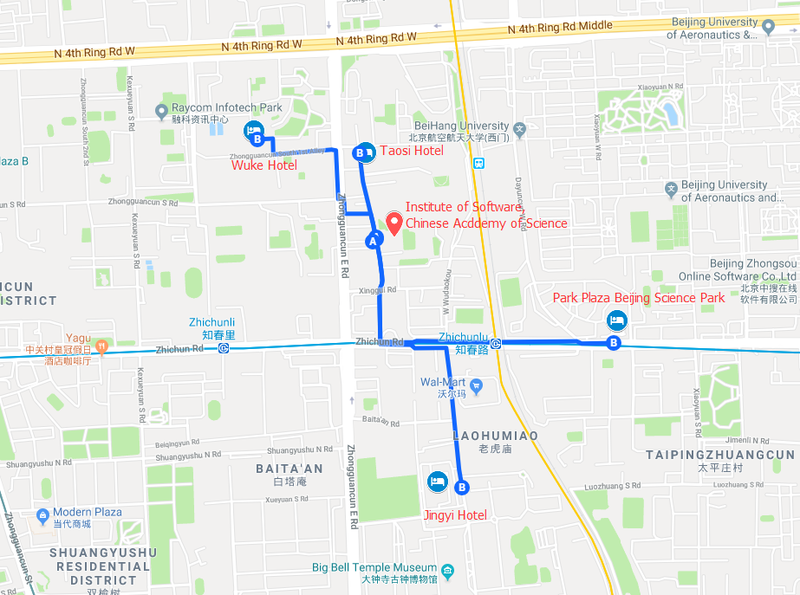 There are four hotels around the venue: Taosi Hotel, Beijing Wuke Hotel, Jingyi Hotel and Park Plaza Beijing Science Park. Conference attendees can stay at the following hotels with preferential prices. Please understand that the offered types and rooms are limited, due to the tourist season in May. In order to book your room, please fill in the corresponding reservation form. The availability is first come first served basis.